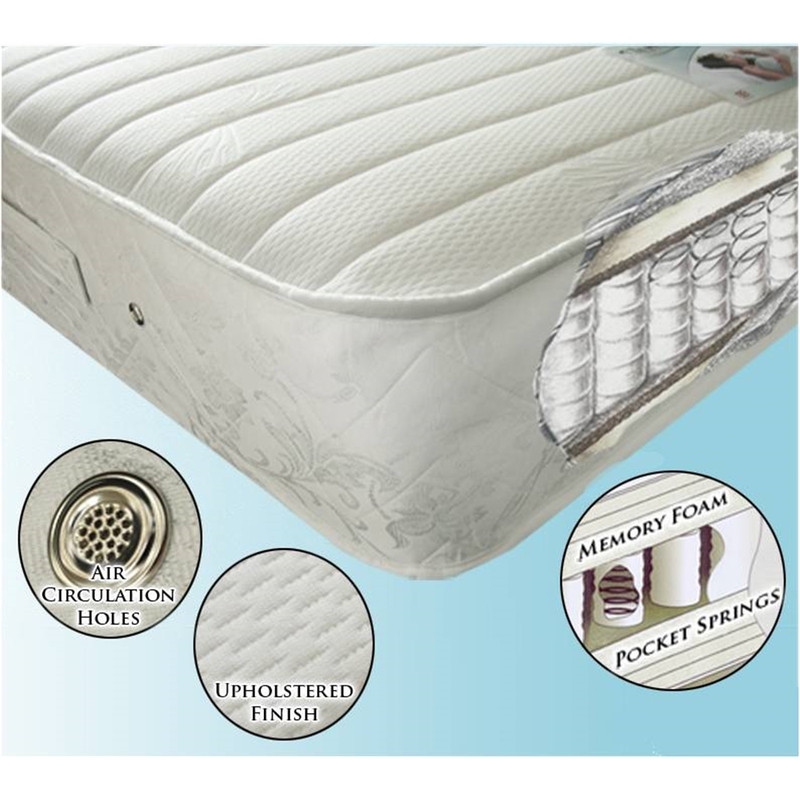 This mattress is manufactured in the UK to the very highest standards using a premium 1200 count pocket spring unit. Its high quality components give greater support to the contours of the body and the combination of 2 inches of memory foam and 1200 count pocketed springs offer real durability and extra comfort. The mattress is finished in stress-free, breathable quilted upholstery with an air circulation system and the quilted covering keeps the layers in place. Manufactured in the UK passing all fire safety standards. Suitable for all types of base. All of our products are carefully inspected for quality before we dispatch them. In the unlikely event you receive a faulty product, we are happy to exchange the product.